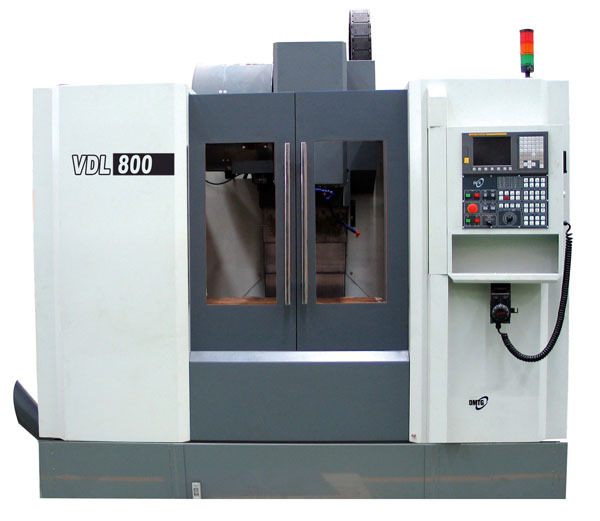 The VDL-800 CNC machining centre has high rigidity, high stability, high precision and high speed. The VDL-800 CNC machining centre can be used for all machining needs including milling, boring, drilling, reaming and tapping with just one clamping. Ideal for larger or irregular parts this vertical machining centre is especially suited to the automobile, engine, ship building and aerospace industries. The VDL-800 CNC machining centre has a 900mm x 420mm table size and a maximum spindle speed of 10,000rpm.